Northern California Packards is the San Francisco area regional affiliate of the national Packard Club (P.A.C. ), both of which are non-profit organizations. The aim of our group is the preservation, use and enjoyment of all of the fine Packard automobiles from the first built in 1899 through the last Packard to come off the assembly line in 1958. Our primary function is to provide local events, tours and car shows where our members can meet socially with others of like interest and get the most enjoyment from owning our Packards. Every two months we publish a newsletter The Pious Pelican, with items of local interest, upcoming events and technical information. Also there is a free (text only) classified section for our members. 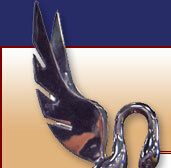 Subscription to The Pious Pelican is included in the regional dues. Our parent organization, The Packard Club (P.A.C. ), promotes the welfare of the regions and provides us with nation-wide contacts. It also publishes an excellent quarterly magazine, The Packard Cormorant, and a monthly newsletter, The Cormorant News Bulletin. The dues for National membership include a subscription to both of these fine publications. The only prerequisite to be eligible to join a regional club is that you must join the National organization. Dues for each are separate. This provides you with nation-wide contacts for local, national and international events, supplies, parts, as well as historical and technical information. The Packards driven by our fine group represent many varied years and styles of this famous marque. Owning a Packard, however, is not necessary to become a member of the National or any of the regional clubs. Membership applications for Northern California Packards and The Packard Club (P.A.C. ), may be downloaded below. Membership applications are in PDF format and need Adobe Reader for viewing. It may be downloaded here.